Three years later, in wake of the 2017 election, it’s a great time to reflect on how this movement has grown, and how far we’ve come towards fulfilling that big dream. So whether you’ve been on the journey with ActionStation since we launched, or joined the movement more recently, adding your power and voice to our campaigns in 2017, please make yourself a cuppa, sit back and take a few minutes to reflect on all that we’ve done together this year. Because everything we do together at ActionStation is possible only because of you, and thousands of others like you. ‘People power’ isn’t just a nice slogan at ActionStation: it is ActionStation. It’s why we’re here and how we get things done. From cleaning up our rivers, getting more young people involved in voting this election, and standing with the survivors of abuse in state care, to demanding an inquiry into mental health services and the state of renting, all our campaigns are powered by you. So thank you for being part of this movement, it’s been a big, busy year. Now it’s time to look back on all we’ve done together. ActionStation is a vehicle for people of all backgrounds to unite independent of party politics, special interests and the usual labels that divide us. We act together to create what we cannot achieve on our own: a society, economy and democracy that works for us. Our campaigns, and the people who power them, are diverse in many ways but they share a commitment to fairness and the common good. It’s our shared values, plus a willingness to act, that makes someone an ‘ActionStation kind of person’. As a movement we are committed to certain core progressive values. We act to promote and protect human rights, economic fairness, a flourishing planet and a transparent and accountable democracy. We honour Te Tiriti o Waitangi (the Treaty of Waitangi). Together we’ve identified the values of community, care, compassion, manaakitanga, kaitiakitanga and aroha as central to building a more fair and flourishing future for all of us and the planet we love. A little over a year ago we surveyed the ActionStation community to ask what they wanted our movement to get to work on in 2017. After lots of conversations, research and advice we whittled the many options down to three. 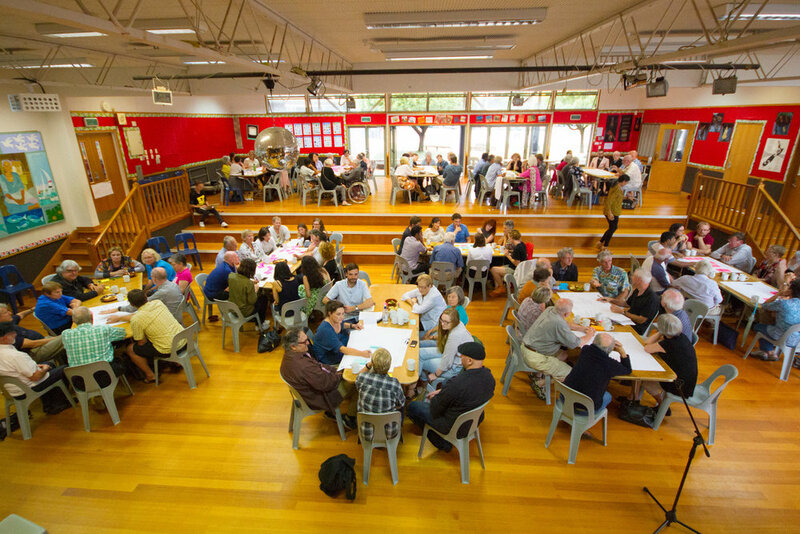 Lift our sights, and the sights of our politicians, by putting together a crowd-sourced vision for the future of Aotearoa, the values needed to underpin that future, and some policy pathways to get us there. When the results of the survey came in, it was almost an even split between all three options. Around one third of the ActionStation community chose each of these options, and so - perhaps unwisely - the ActionStation staff team set about making a plan to support our members to implement all three of these approaches. It made for a very full year, for the staff team and for our members, but one in which we saw measurable impact from our work, and some big wins for a fairer and more flourishing Aotearoa. This report is organised around these key themes - please click on the links and find out more! Working together to create a transparent democracy that serves us has never been more important to ActionStation members than in 2017, an election year. We all knew that this election, more than any other, was going to be tight. We also knew that people wanted a change to the status quo. 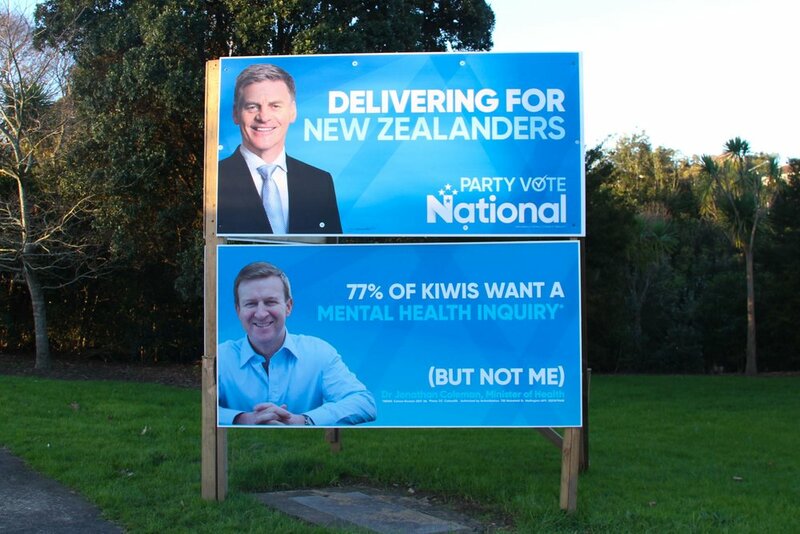 With your help, we put mental health, clean rivers and homelessness as hot pre-election topics. So what is ActionStation’s job in the face of a new and more progressive government promising a kinder and more compassionate approach, and more action on mental health, homelessness, climate change, poverty and clean rivers? Our job is to show strong support for the government when they take positive action on the issue we’ve campaigned on together. 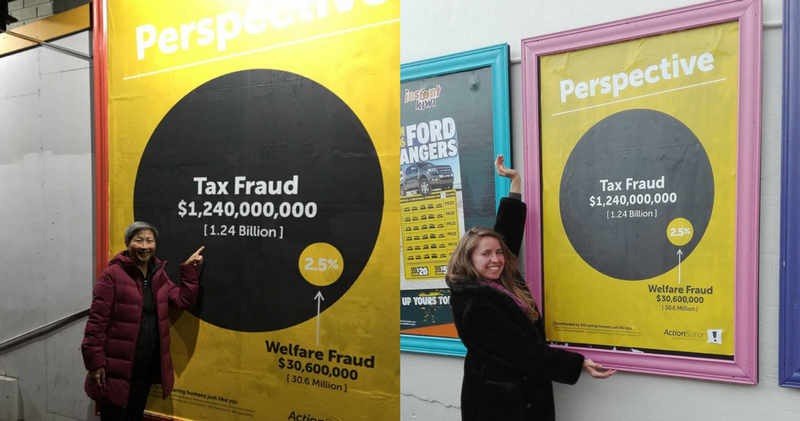 Big business will be spending many thousands of dollars on lobbying the government to get the changes they want, so we still need our collective people power to make sure decisions made are in the best interests of us — the people of New Zealand. 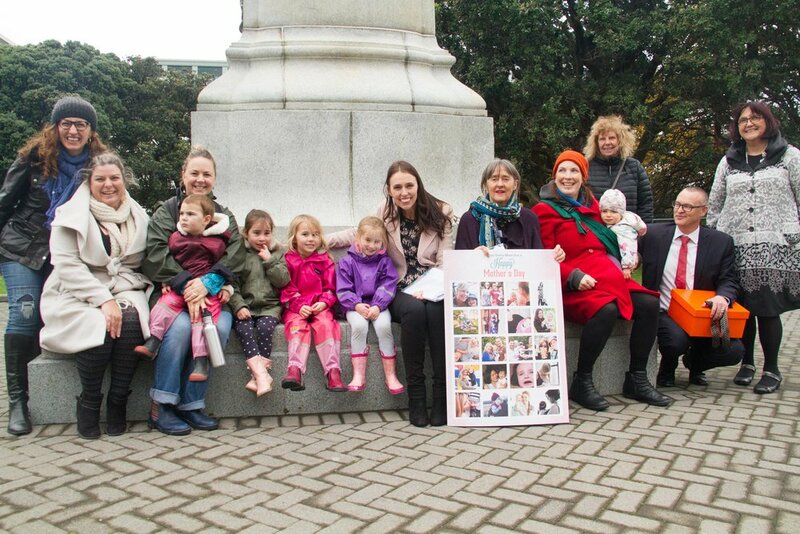 Our job is also to show the government that there is widespread support for them to aim even higher, and start making some of the bigger, bolder changes urgently needed to get us to a fair and flourishing future for all in Aotearoa by 2040. We know that it’s unrealistic to expect our vision for Aotearoa New Zealand to be achieved in these next three years but ActionStation isn’t going away. We’ll be here to make sure the Government delivers on all their promises, and to hold them to account if they don’t. The People’s Agenda helps us to look beyond the day-to-day of politics to a more hopeful and long-term trajectory of progress. As always, ActionStation will respond to the changing political environment and to the aspirations of our members. But we already know there are some areas in which we need to grow as a movement to be ready to have even more positive impact in the years ahead. ActionStation relies on small contributions from many members to resource our work. This guarantees our independence and keeps the whole movement accountable to our members. But we’ve built most of our funding base on one-off contributions, people chipping in for specific campaigns and tactics. This is great for enabling us to get a strong picture of which issues are most important to our members, but it means we have to fundraise every time we want to take action. A more sustainable funding base, with more members contributing to our work on a regular basis, would enable us to plan ahead for the kind of campaigns that take more time to win, and allow us to be more responsive when opportunities arise to act quickly. We know that there is much more potential in the ActionStation community than we have yet seen. Every week members of our community get in touch to say that they want to do more to grow our movement and win campaigns. But our tiny staff team has never had the systems or infrastructure in place to properly support a scaled-up volunteer network. That needs to change if we are going to unleash the full political power of this movement. So one of our strategic goals for the coming year is to begin to build the systems we need to support real volunteer power. ActionStation is already a diverse community of New Zealanders, but we suspect some groups are underrepresented. Diversity in our movement matters because our members set our agenda. 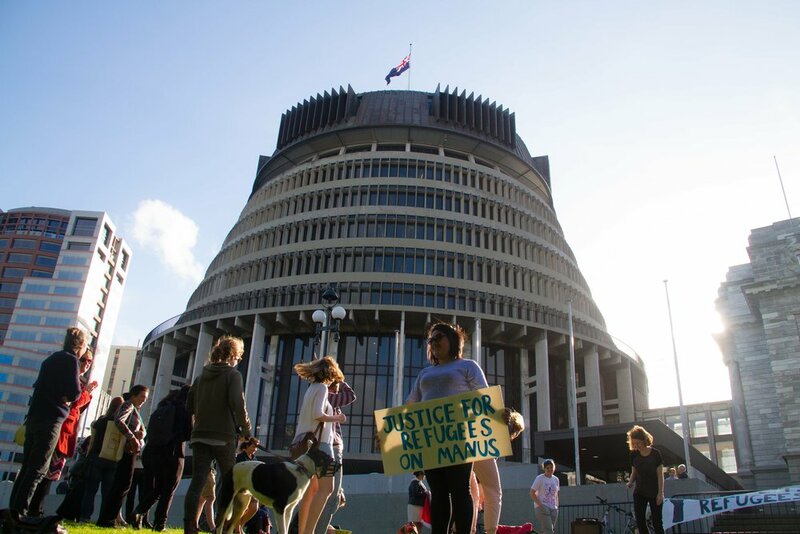 If we want the power of our movement to be directed to the change that matters in Aotearoa, we need that direction to be set by a diverse range of New Zealanders. There are two main reasons for us to prioritise learning more about how our community members are: firstly so that we can better customise the campaigns we share with them, including local campaigns, and secondly so that we can see how diverse and representative our community really is - and take steps to improve that if we need to. We plan to make progress towards our People’s Agenda for Aotearoa - Te Ira Tangata - while also building our capacity and momentum as a movement by doing more of what we’ve done in the past - we’ll run campaigns that win progress on the issues that matter, through the collective power of our members taking action on and offline. We’ll continue to support community-led campaigns through OurActionStation. When we have to make choices about which campaigns to put our limited resources into, we’ll focus on those campaigns that align with the priorities in our People’s Agenda. We’ll continue to run 3-4 core campaigns throughout the year. 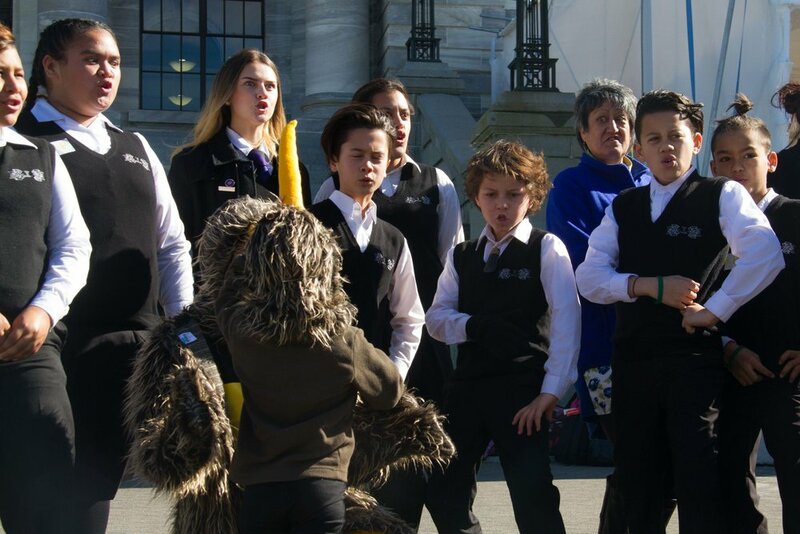 These are campaigns led by ActionStation staff and we choose them based on member priorities across four key areas: economic fairness and whānau wellbeing; environmental protection; transparent democracy; and human and indigenous rights. We’ll also continue to respond to urgent moments when they arise by running rapid response campaigns on any issues that fall within our People’s Agenda. Who funds us? You do. When we say ActionStation is people powered, this includes our funding. Will you help us make 2018 even better? ActionStation’s support for community campaigning is made possible through contributions made by people like you. Your contribution, however big or small, will go to support campaigns on the issues that matter to our community. We rely entirely on member donations and grants to keep this engine running. We receive no government funding. Our team works hard to ensure even the smallest contributions go a long way. No amount is too small and all donations are used to help build a fair and flourishing New Zealand. We told you back in 2015 we had a goal of being 100% member funded by 2018 - we haven’t forgotten our promise! We’re well on our way of being so, but the ambitious goals of our members this election year demanded some additional funding. We needed more hands on deck for the two months leading up to the election, and the generosity of some major donors helped make that possible. A major grant from Quattro Trust, for the purpose of promoting progressive values in politics and increasing democratic engagement, enabled us to contract full time researchers and designers, and part-time writers and digital media experts for those final two months. Setting aside grants and major donations, our member-based support has also increased substantially from 2016 to 2017, allowing our team to expand to four full-time campaigners, plus a part-time administrator and contracted developer. 11,280 donations were made online this year by 4,270 people, averaging $23 each. As individuals, there’s a limit to what we can achieve. Especially if we don’t happen to be billionaire CEOs, politicians or senior bureaucrats. But when we act together, we prove time and again that we can achieve amazing things. ActionStation is a movement of more than 180,000 people. All our members and volunteers participate in different ways, and in ways they are equipped and passionate about doing so. Generally our core members fit into one of three categories; sustainers, catalysts or volunteers. Sustainers are the people who make regular donations to the core fund. We rely on these people who support us regularly, whether it be weekly or monthly, to keep us going. This is generally spent on things like office space, staff wages, lights, internet and keeping our website running. These regular donations also mean we can be ready when new and exciting opportunities arise in the changing social and political environment. Catalysts: these are the people who want to take action into their own hands to get things done. Our catalysts are those that start up their own campaigns, generally through OurActionStation. Volunteers: People who give up their time and energy to actively participate in ActionStation campaigns. We want to say thanks to some of our regular volunteers that have helped us this past year: Silvia, Ann, Eve, John, Ravaani, Anna and Aaron. We also want to give a very special shout out and thanks to volunteer Ellen Tisch who put together this Annual Report! We are four (and a half) full-time staff and a few key volunteers who have been at ActionStation for the long haul, definitely working more than full-time during this year's election. Being such a busy year for us at ActionStation, we also had Roxanne, Felix, Kat, Kate, Silvia, and Elaine join us for two months in the lead up to the election. While ActionStation ultimately belongs to and is shaped and driven by our members, our staff team exists to oversee the campaigns, develop strategies for winning the campaigns that matter to our members and keep looking ahead to plan what we can do together next to make Aotearoa New Zealand even better. Laura O'Connell Rapira (Te Ātiawa, Ngāpuhi, Te Rarawa) is the Director of Campaigns at ActionStation. She is the co-founder of RockEnrol, a volunteer-powered organisation dedicated to building and activating political power for young people. She serves on the Voting Assembly of Greenpeace New Zealand and the Youth Advisory Panel for Manawa Ahi. Laura is passionate about unleashing the power of people through digital and community organising, effective collaboration and values-based communications. Marianne Elliot is our Director of Story and Strategy. Trained as a human rights lawyer, Marianne worked in Timor-Leste, New Zealand and the Gaza Strip before going to Afghanistan, where she served in the United Nations. Marianne is co-founder of several social impact businesses, including ActionStation and La Boca Loca and Boquita restaurants in Wellington. Marianne believes in the power of stories to change not only our understanding of the world, but to in turn change the world itself. Rick Zwaan is our Campaigner focusing on supporting all our campaigns. Rick’s previous work includes leading a major Students’ Association advocating for student rights, coordinating political campaigns, representing New Zealand young people at international climate negotiations and travelling around the country with The ReGeneration Trust showcasing inspiring community change makers. Rick believes we all play a part in cultivating positive social and environmental change in Aotearoa and sees ActionStation as a key vehicle enabling the our collective power to be realised.Eliot Pryor is our Community Campaigns Manager looking after OurActionStation and supporting your campaigns. He was formerly Campaign Director of the animal advocacy group SAFE and had roles previous to this with Amnesty International NZ. He has adventured to different corners of the globe but always comes back to Aotearoa. Vimal Jobanputra is ActionStation’s tech advisor and developer. Originally from the UK he now lives in NZ with his wife and two daughters. He's been tinkering with computers as long as he can remember, and building software professionally for 20 years. He's co-founded and worked with a number of early stage start-ups and social enterprises, and loves seeing big ideas come to life. He cares deeply about building software that is robust, intuitive, and has purpose. Ann Cloet is both a regular volunteer on ActionStation’s core campaigns and our part time office manager. She first got involved with ActionStation as one of the Wellington-based volunteer leaders of our health campaign, and since then has worked with Marianne on the People’s Mental Health Report and many other campaigns. She also ensures our bills are paid on time and that all our finance and admin systems are kosher. Like our new PM, Ann believes the economy should serve people, not the other way around. Silvia Zuur also first joined ActionStation as a regular volunteer and went on to apply her considerable skills in facilitation, experience design and event management to lead the Kai & Kōrero project at ActionStation, and support the delivery of the events part of our collaboration with RockEnrol. Silvia has now finished with ActionStation, but her contribution to ActionStation’s work in 2017 was so critical that we still wanted to thank her specifically. Our Volunteer member review member panel are a group of ActionStation members who read and review every campaign submitted to OurActionStation. These members were invited based on the commitment they had demonstrated to the broader mission of ActionStation (as opposed to support for a single campaign or issue), either by taking part in a broad range of our campaigns, by being a core supporter of the movement or by running campaigns with us themselves. Megan Salole is co-chair on ActionStation's board. She is a social entrepreneur currently based in Christchurch, initiating projects that bring about a more connected, conscious world. She ran an award winning design company for a decade, and was the champion for ActionStation after managing a national political campaign in 2011, increasing the vote share by 60% and discovering the gaps in the party political model along the way. Lani Evans is the other co-chair on ActionStation’s board. She is a CEO, adventurer, avid promoter of generosity and advocate for good climate change policy. 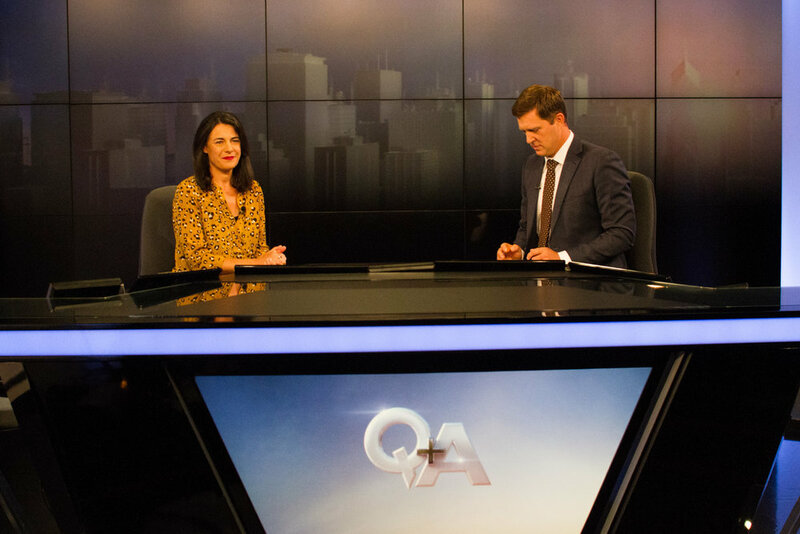 She is Co-Chair of the Thankyou Charitable Trust, a grant-making organisations that has developed an innovative 'pay-it-forward' funding model that puts the decision making in the hands of communities. Lani's past adventures include running national youth organisation The ReGeneration Trust, creating a series of documentaries about inspiring community changemakers and being one of the first women to successfully walk the length of the South island via the Southern Alps. Phill Coxon is our Treasurer. Phill runs his own consulting business (Get Results Limited) in Christchurch. 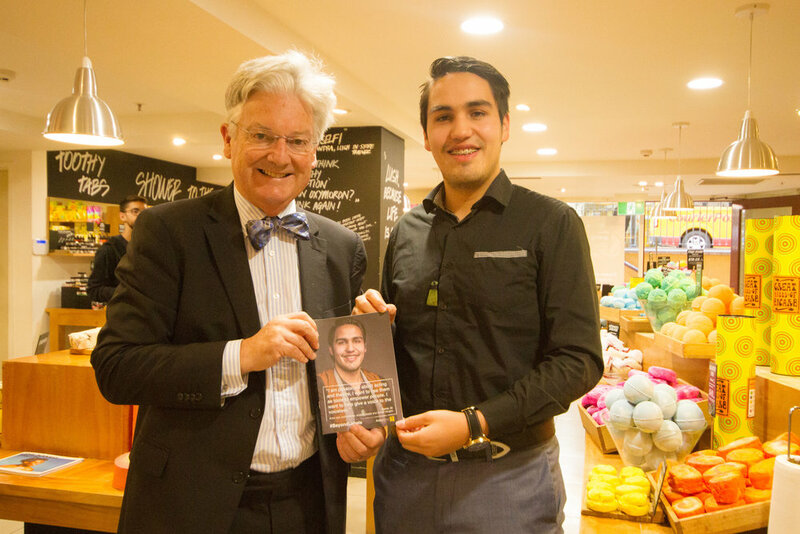 He is also heavily involved with the Enspiral group based in Wellington which is doing amazing things to make the world a better place, one social enterprise at a time. Phill is Enspiral Foundation’s Financial Operations Manager, Collaborative Funding Manager and is a Enspiral Services Limited Director. He also co-leads the Enspiral Services Limited Lean Lab Team. Allie Cunningham is a litigator in a large national law firm. As well as bringing much needed legal expertise to the Board, Allie’s work with corporate and government clients, combined with her passion for social justice, diversity and sustainability, gives her an understanding of and tools to negotiate corporate and government worlds and aids her goal of facilitating positive change, step by step. Allie is on the board of trustees of her son’s Intermediate School and she volunteers at Community Law Otago. Garth Nowland-Foreman has extensive nonprofit governance experience. For six years he was national director of a major advocacy group for low-income and disadvantaged people in Australia. He has taught for 18 years in a graduate programme on not for profit leadership, has a keen interest in research-you-can-use, and is widely published on government/nonprofit relations. Garth also brings strong political analysis - he ran a national advocacy nonprofit in Australia; operated in Cabinet minister's office, serviced a Parliamentary inquiry, participated in several government advisory bodies; and managed a government policy unit. Phew. When you sit down and read about all those campaigns in one go it helps explain why we’re all feeling so tired going into the summer holiday this year. It really has been a very big year. But it was more than worth it for the wins. Warmer, dryer homes for renters and a review of tenancy law coming soon. Increased access to mental health services for young people and an inquiry into mental health services and into abuse in state care. A massive, well-overdue, boost in funding for Radio NZ and New Zealand On Air. And to help fund it all - shutting down the loopholes exploited by the big tax cheats. And that’s only the start. None of this would be possible without you. ActionStation isn’t like many other NGOs. We don’t run on a team of 20 or 30 people, who spend most of their time fundraising so that a small group of professional campaigners and advocates can do the work of lobbying the government for change. Our movement is funded in the simplest and most lean way possible and our tiny team is here to support the work of the real campaigners and changemakers in our community: you! This genuinely people-powered model means we can have an impact that reaches far beyond anything that a team of four could achieve in a traditional NGO model. We devote our limited resources to ensuring your efforts, your stories, your contributions, your ideas and your voices have the most impact possible. It’s our shared commitment to a fairer and flourishing future, combined with our willingness to get to work to make the changes we need to get that future, that defines an ActionStation member. And it is a privilege to serve you all.